Breakfast: It’s time to hit the road again. Before leaving Watsonville we had our last meal at Dave’s. 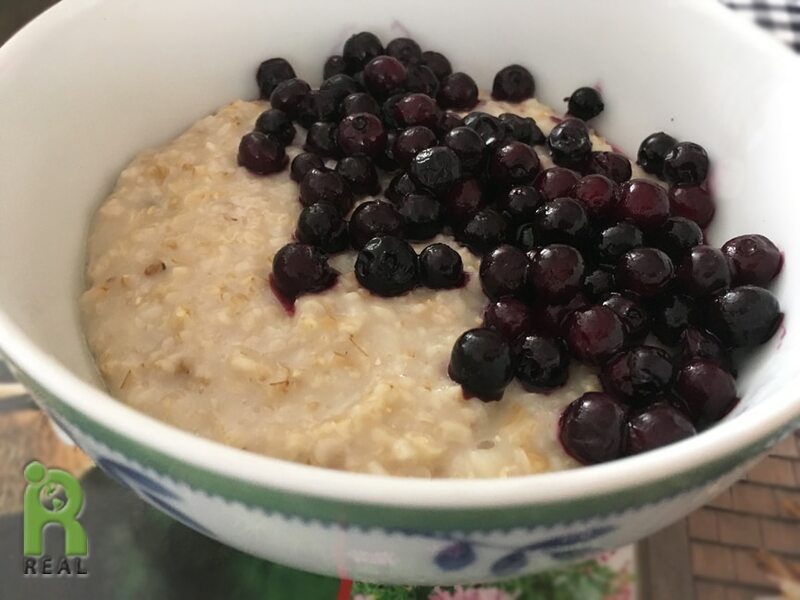 I made a pot of Steel Cut Oats and topped them with Blueberries. I woke up with a cold. I was not surprised. I had been running all month taking care of my dad and trying to keep up with work. Then we got on a plane, which is never a healthy place to be. And these last few days I indulged in foods and drinks that were not the healthiest for me – wheat, oil, wine and coffee. It was time to pay the price. My body was demanding a green smoothie. 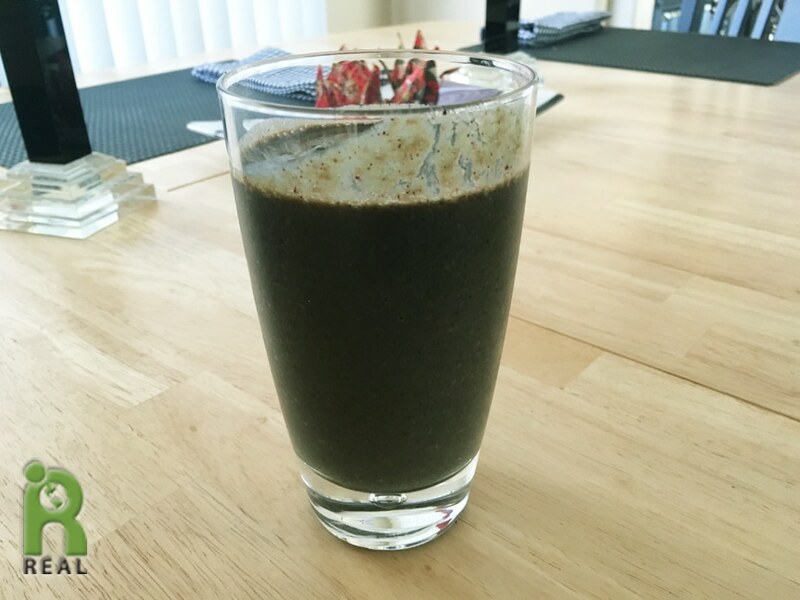 I made a thick one with Kale, Blueberries, Strawberries, Grapes, Pineapple and Soy Milk. I gave a sample to Dave and a big glass to Gary. I had two glasses. 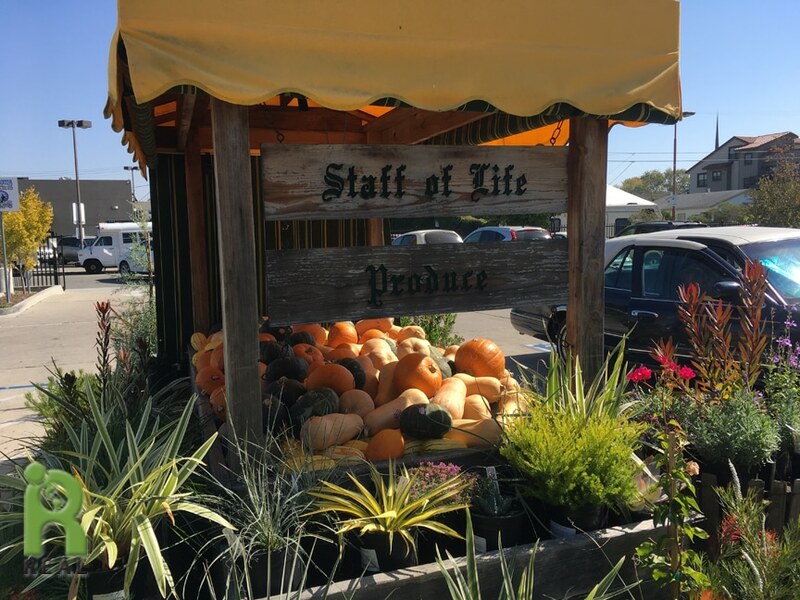 The first stop north on our journey was the Staff of Life in Santa Cruz. It’s our favorite grocery store. 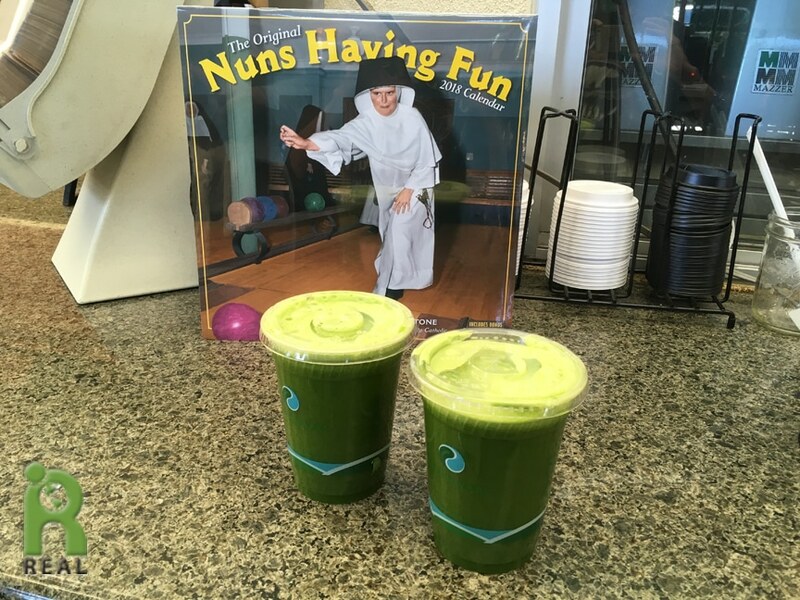 We picked up a couple of green juices they call Steve Banner. I am focusing on aiding my immune system. We were looking at a collection of fun calendars while our juices were being made. Since we are here to audition a cast for the musical The Sound of Music, we especially liked Nun’s Having Fun calendar. Lunch: Next stop was Andales in Los Gatos. 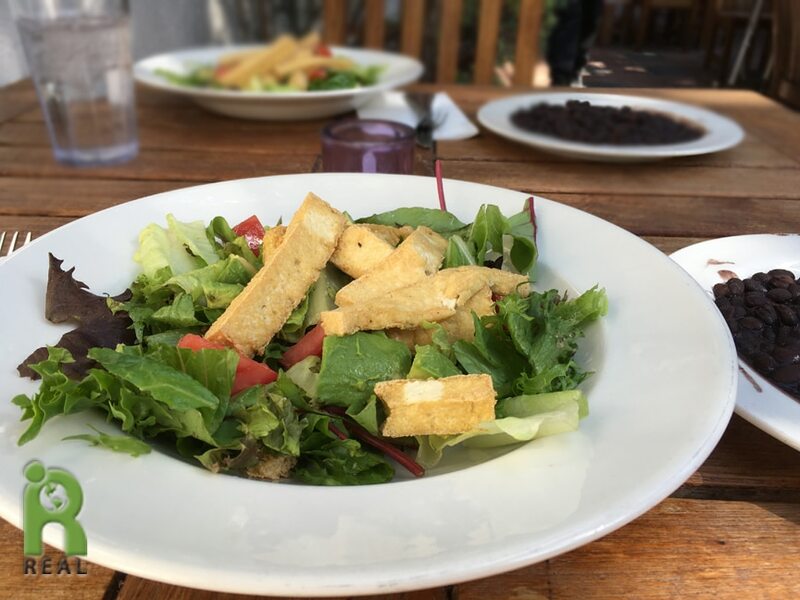 We ordered a little cleaner here this time, with Mixed Salads topped with Tofu and sides of Black Beans. Dinner: Our final destination for the day was Gary’s brother’s home in Monte Sereno. 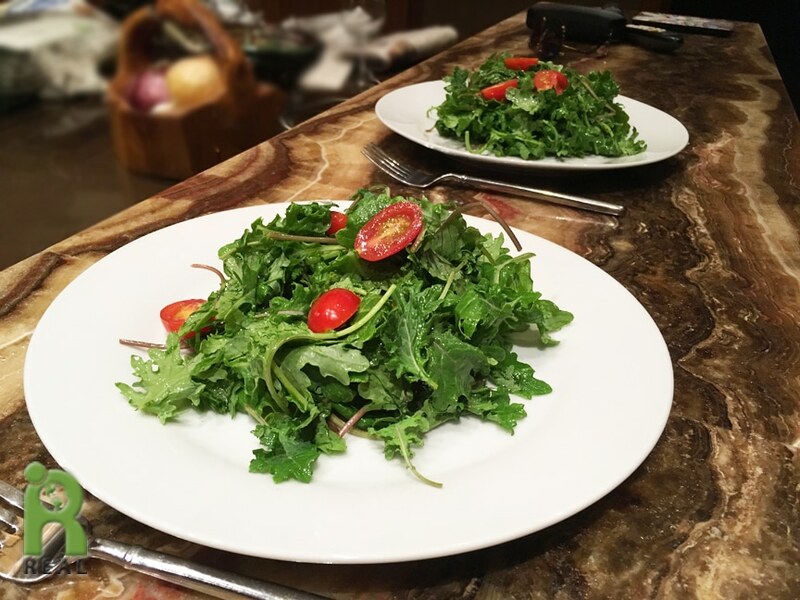 After bringing in the bags, we settled in for a simple meal of Baby Kale Salad with Tomatoes and Quinoa. 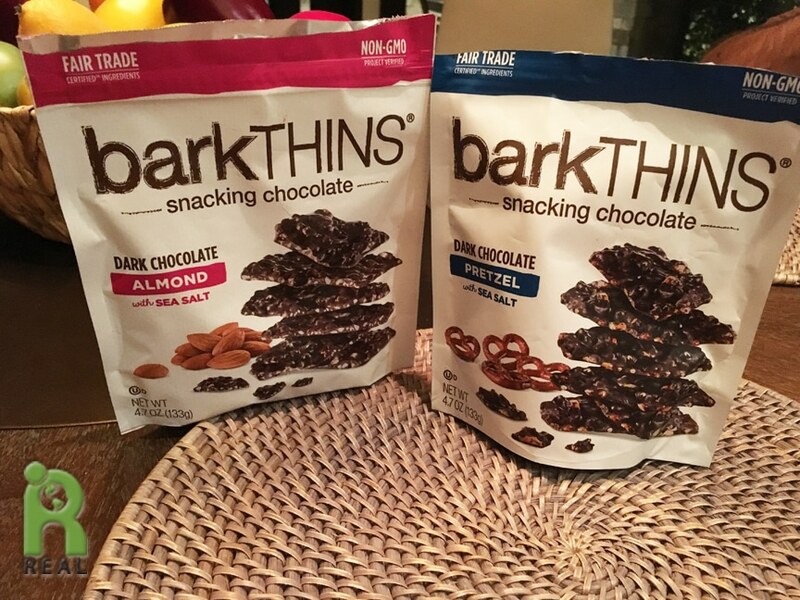 Gary’s brother served Bark Thins for a treat. I tried the one with Almonds.